H. James Wulfsberg is a nationally recognized expert in construction law. He has over 35 years’ experience in all phases of the construction process, including design-bid-build, design-build, engineering procurement construction contracting, construction management, CM at Risk and public works projects. He has assisted Project Owners, EPC Contractors, Contractors, Architects and Engineers, Program and Construction Managers, and Developers in finding procurement and claims evaluation methodologies, developing procurement documents, negotiating and drafting contracts, negotiating and administering contract claims, and developing claims avoidance and dispute resolution strategies and procedures. 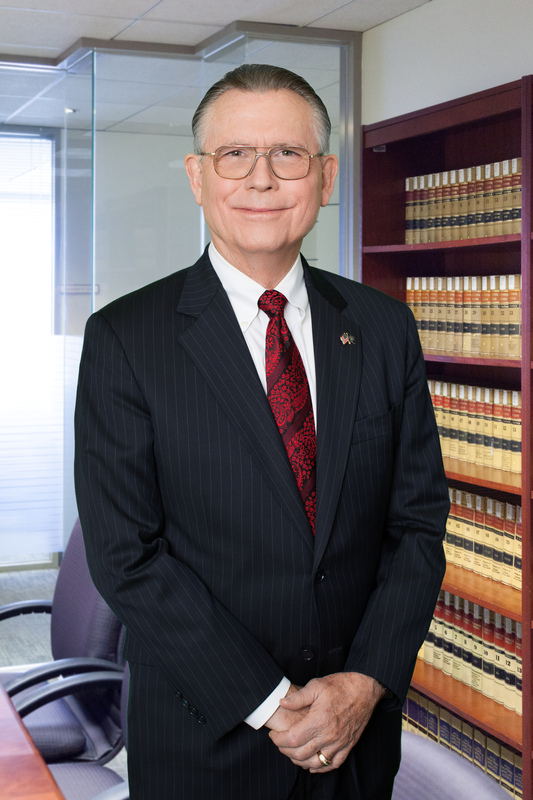 Jim has represented clients in mediation, arbitration, and litigation. He has represented EPC contractors, public and private owners, architects and engineers, in a variety of major private, public works, and power process projects throughout the United States, Latin America, Europe, and the Middle East. Jim has tried numerous cases to verdict in arbitration, court and jury trials with claims in excess of $500 million. Water and Wastewater Facilities. Represented Public Owners and Engineers in numerous disputes concerning water and wastewater facilities throughout California and the Western United States. Recently defended design engineers in connection with a significant tunneling project for a wastewater treatment facility and resolved matter favorably for engineer clients. Combined Cycle Power, Co-Generation Power and Petro-Chemical Facilities – Represented major EPC Contractors in disputes involving several Combined cycle, Co-Generation Gas Fired, and Oil Fired Power Facilities in the United States, Latin America, and the Middle East. These disputes involved design, procurement, construction, and start-up of facilities and included evaluation of delay, disruption, and performance issues. Additionally, represented Major EPC Contractors in disputes involving petro-chemical plants in the United States and Latin America. These disputes involved delayed performance, design, procurement, and operating issues including distributed controls and process flow requirements. Low Sulfur Diesel Refinery – Successfully represented a major EPC Contractor in disputes arising out of the design and construction of a low-sulfur diesel refinery in the Southwest. Assisted in securing negotiated settlement of multi-million dollar changes to contract price. Port Authority – Assisted a major Port Authority in a billion dollar plus expansion of major port authority facilities involving planning, contracting strategies, contract documentation and owner controlled insurance programs. Combined Cycle Co-Generation Power Facility – Represented a major EPC Contractor in disputes involving in excess of $500 million arising out of the design, construction, and commissioning of a major EPC combined cycle co-generation power facility in the mid-west. Successfully defended claims in arbitration to final award in excess of $450 million against the EPC Contractor. Latin American Natural Gas Liquids – Successfully represented a major EPC Contractor in connection with an off-shore platform natural gas liquids facility in Latin America. Defeated claims in excess of $70 million while obtaining a multi-million dollar ICC award against a major petroleum producer in Latin America. European Wastewater Facility – Coordinated claims and defenses in connection with one of the largest design-build Wastewater facilities in Europe resulting in approved multi-million dollar claims and recoveries against responsible parties of multimillion dollar settlements. Mexican LNG Facility – Represented major EPC venture in disputes arising from the design, construction, and commissioning of an LNG Facility in Mexico. Successfully defended claims in excess of $70 million resulting in settlements below recognized change order entitlement values. Middle East Power Facility – Represented a major EPC Contractor in disputes arising out of a combined cycle power facility in the Middle East. Successfully arbitrated disputes in international arbitration for a multi-million dollar award. Airports Commission – $2.4 billion airport expansion, including new international terminal, boarding areas, parking and rental car facilities, inbound and outbound roads, light rail facilities, and public transit extension. Provided design and construction-related legal services for ten major design contracts and 50 major construction contracts. Local Sports Complex – Represented local joint powers authority in connection with $100 million renovations project for two major sports facilities. Oversaw contract drafting, bidding, award, administration, claims resolution, claims analysis, and dispute resolution. Local School Districts – Assisted with multi-million dollar school renovation and construction programs for large, local school districts. Acted as lead counsel, drafting and negotiating design and construction contracts, and advising districts on bidding issues, CEQA compliance, and claims resolution and avoidance strategies. Owner-Developers High-Rise Office Buildings – Represented private office building owner-developer in several curtain wall and other design and deficiency cases that resulted in multi-million-plus in settlements, arbitration, and jury awards against contractors and designers. Local County – $170 million design and construction of a maximum-security facility. Drafted and negotiated contracts, and resolved bid protests and design and construction claims involving in excess of $66 million via pre-litigation negotiations and mediation in the initial phases of discovery. Obtained multi-million dollar settlement for owner of a series of design-related issues. Waste-to-Energy Projects – Represented major EPC contractor in complex design and construction litigation in connection with several waste-to-energy projects. International Engineering Procurement Contractor – Represented a construction manager in connection with a $250 million convention center facility in defense of over $150 million in claims. Secured dismissal and a favorable judgment on over $100 million of the claims; asserted and successfully litigated contractual indemnity issues and defense obligations on the remaining $50 million. Owners, Design Professionals, Construction Managers – Represented clients in connection with major wastewater collection and treatment plants, disposal systems, coal-fired power plants, bio-mass fueled co-generation plants, roadway projects, earthen dam reservoirs, numerous public housing projects, public administration and courts building, theatres, and other large public and private works. Insurers and Insureds – Represented insurers and insureds in numerous insurance coverage disputes from design professional insurance policies, environmental insurance policies, to CGL, marine, builders risk and all-risk insurance policies. Defended numerous major environmental claims throughout the United States.